Noticing the importance of nature conservation in Manipur’s present context, documentation of birds has been started in the hill district of Tamenglong too. Tamenglong borders with Assam’s Haflong and Nagaland’s Peren areas. Wildlife Warden Nehemiah Panmei of Tamenglong district along with Mordecai Panmei of The Corbett Foundation, who is a member of The Rainforest Club Tamenglong, took up the initiative recently coinciding with the arrival of flowering season. The documentation of birds was taken up at Atengba village, located on the western flank of Tamenglong district and situated at about 100 km west of the State capital. The village is rich in biodiversity having the most scenic and panoramic Zeilad Lake on one side while a salt lick on the other side towards the Makru River, according to the locals. 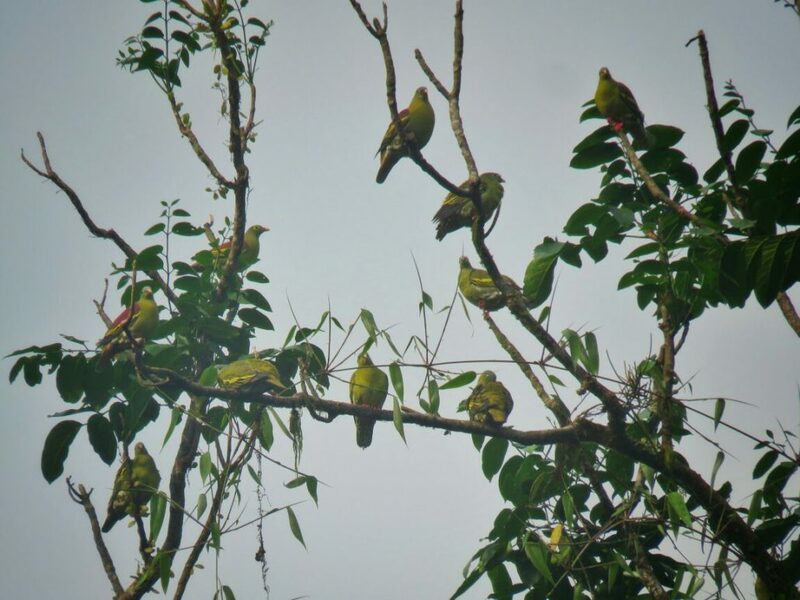 Generally, the thick-billed green pigeon (Azuinah) and pin-tailed green pigeon (Ngamzainah) have been flocking the village every year during March to August since time immemorial, it added. Also, locally known as Ngamzainah and Azuinah, these colourful resident birds of the State were also often feature in Rongmei devotional songs considering their flocking season in the village becomes a matter of wonder. In the ongoing birds documentation exercise in order to conserve its bio-diversity, the villagers of Atengba and Charinapeng villages were also sensitized through talks and field work where the locals took to the role of expert and guides, Mordecai of The Rainforest Club Tamenglong said. The sensitizing exercise had a positive impact on the villagers who had even dismantled old traps in around the villages. Hunting of these birds for consumption and commercial purpose was one of the main sources of the villagers’ livelihood it seems. But since the last two years, the villagers take up a new initiative to protect these birds when they visit the salt lick, he added. As a result, these birds are safe in some extent at its natural habitat. According to RK Birjit, State coordinator of Indian Bird Conservation Network, green pigeon is widely available in most parts of the state except in the high altitude areas. In winter, many migratory birds particularly Amur Falcon visits Tamenglong every year.